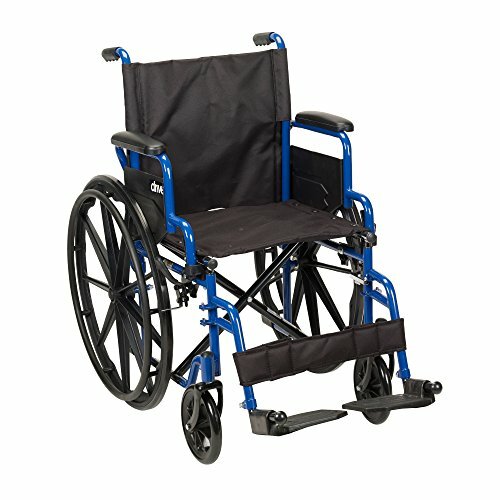 The Carex transport chair provides safe and comfortable transportation with its durable steel frame and strong wheels. 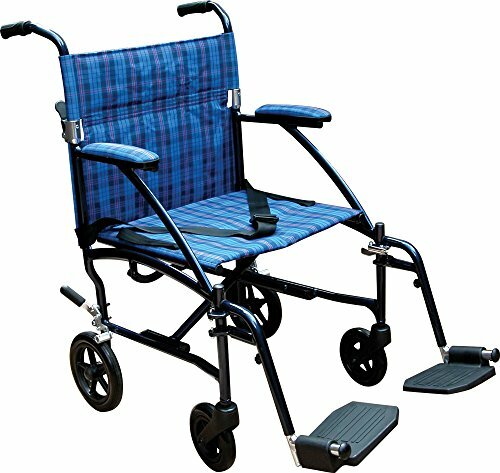 Ergonomically designed wheel chair with your comfort in mind. 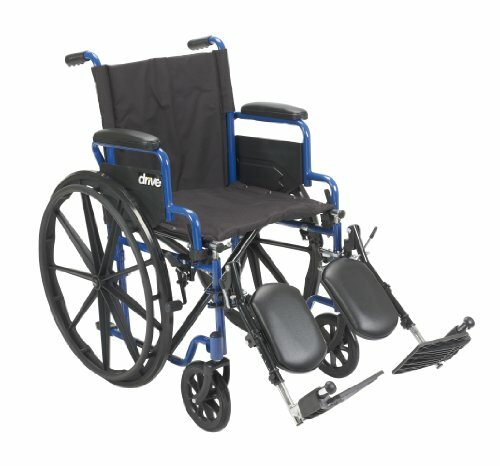 Removable or adjustable swing away footrests for added comfort while sitting Large 19 inch seating area provides you with ultimate comfort while sitting 19 inch seat and sturdy back rest area that keeps you sitting up straight The fold down back allows for compact flat storage also making it easy to transport Durable padded handles on the back to be used as a transport wheel chair so you can be pushed Durable wheelchair wheels that won't leave skuffs on the floor Padded armrests for maximum comfort Minimal assembly required Don t feel restricted, we at Carex want to make using a wheelchair more enjoyable and comfortable for anyone with mobility issues! 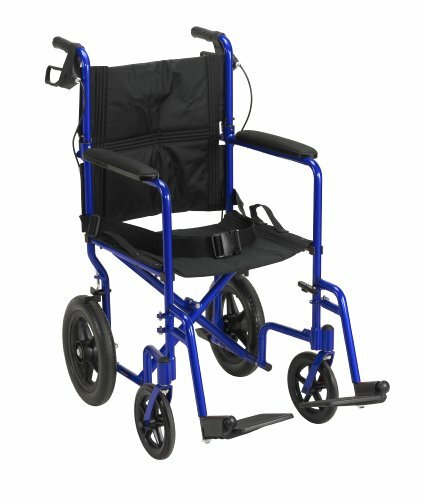 Contains (1) Carex Transport Wheelchair, a portable wheelchair that folds. 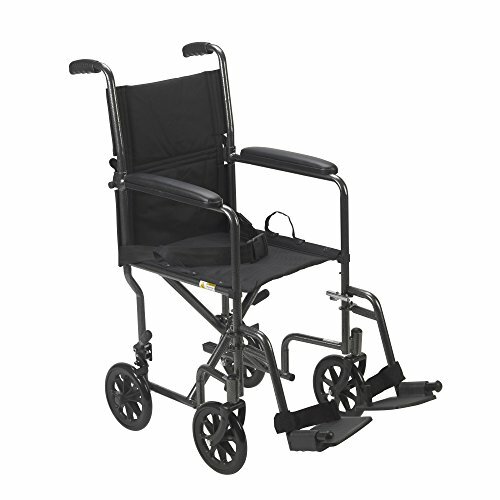 The Transport Chair features adjustable swing away removable foot rests. 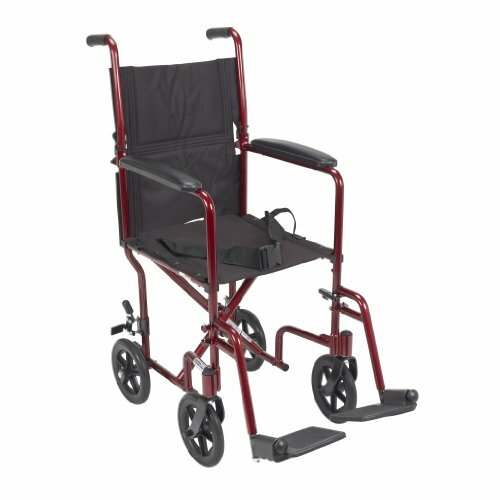 The wheel chair has a sturdy steel frame that folds and is portable for travel, shopping, or everyday life. 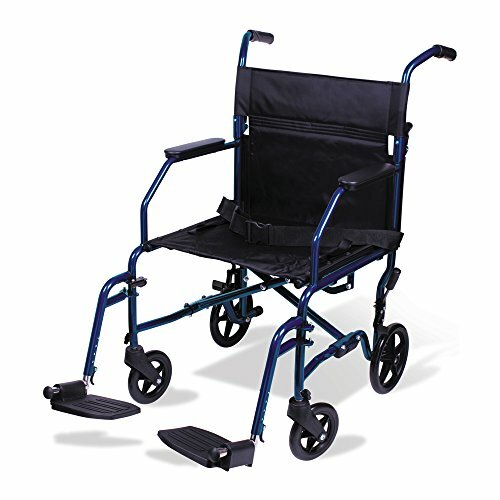 With a 19 inch seat, the transport wheelchair provides a comfortable drive. The secure belt makes that ride safer. 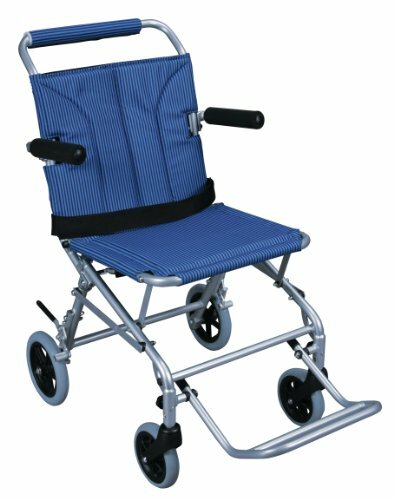 Whether you're recovering from surgery or have a chronic medical condition our transport chair transports you safely & comfortably. 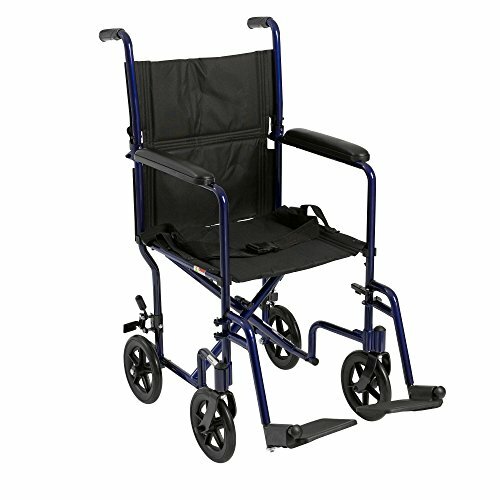 The sturdy steel frame of the transport chair provides full support during everyday transport and also folds easily for compact storage and transfer making it an excellent choice for safe sturdy and comfortable portability. No assembly required. Trust in Carex, a leader in wheelchairs for adults, seniors, disabled, and handicap. 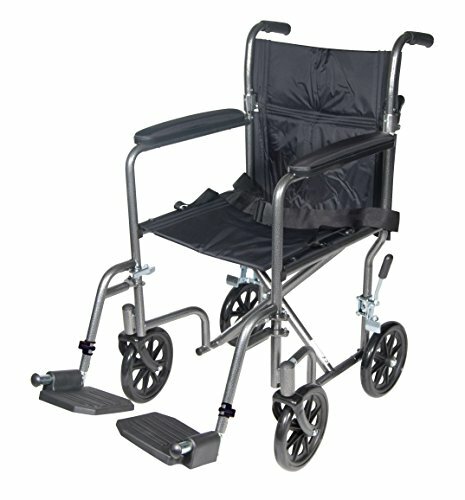 Shop our entire line of lightweight wheelchairs for adults, our transporter wheelchair, and our classic wheel chairs. 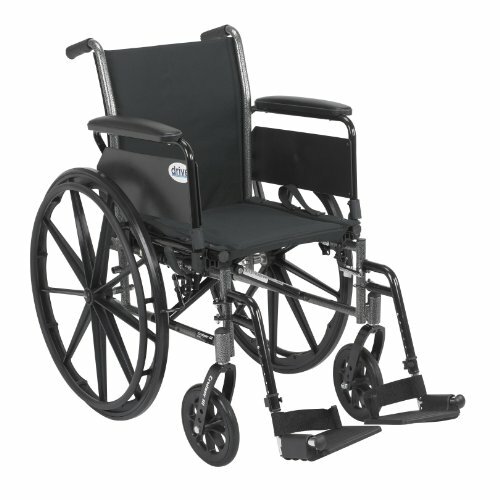 Our NOVA 352B, 19" Transport Chair is designed to provide easy, lightweight patient transport. 12" rear wheels provide a more comfortable ride. The comfortable padded upholstery and arm pads are reinforced to prevent stretching or ripping. 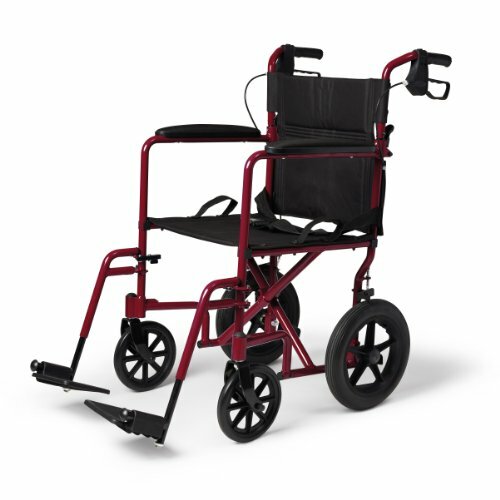 MOST VERSATILE DESIGN FOR ALL TERRAIN - Comes with NOVA's patented locking hand brakes and 12 rugged rear wheels, allowing the companion to control the speed and park the brakes ... a must for safety on inclines, bumps and all-terrain. Comes with an adjustable seat belt (adjusts up to 47) and small storage pouch (9W x 6.25H) for keys and cell phone. EASY USER TRANSFER - Flip up and removable padded desk arms make transferring the user from a car, bed or chair much easier. Desk arms allow the user/transport chair to ride up to a desk or dining table. 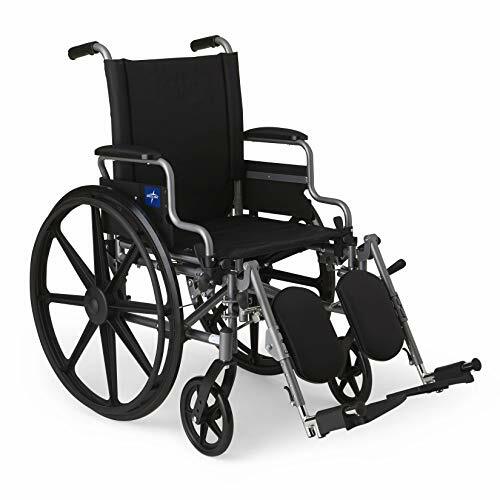 SPECIFICATIONS - Weight capacity: 300 pounds; Seat dimensions: 18.25W x 15.5D; Seat height: 20; Opened overall width: 25; Product weight: 27.35 lb; Back height from seat: 18; Arm height from seat: 10. 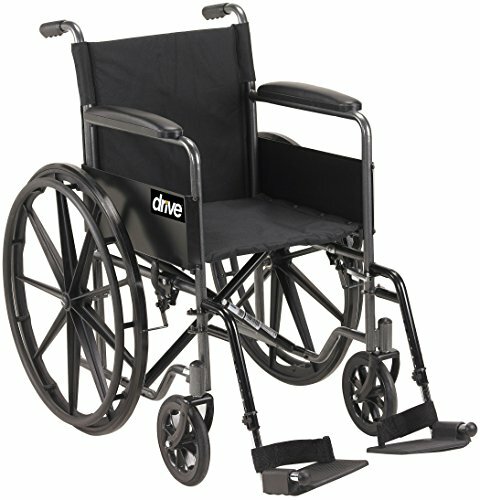 Get the built-to-last wheelchair you want plus the convenience of swing-away leg rests for quick and easy access. 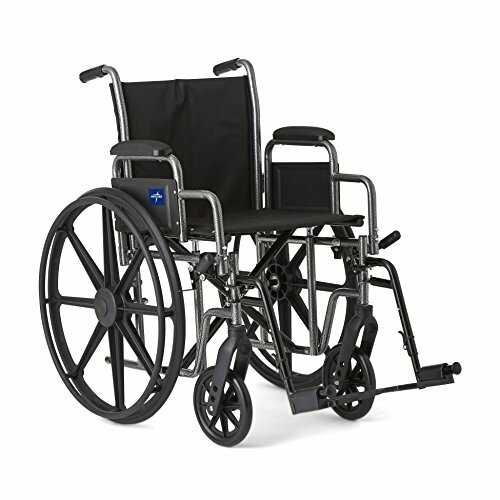 The Medline K1 Basic Wheelchair features a durable tig welded frame and comfortable nylon upholstery. Hemi-height adjustable axles raise and lower the seat 2 inches. 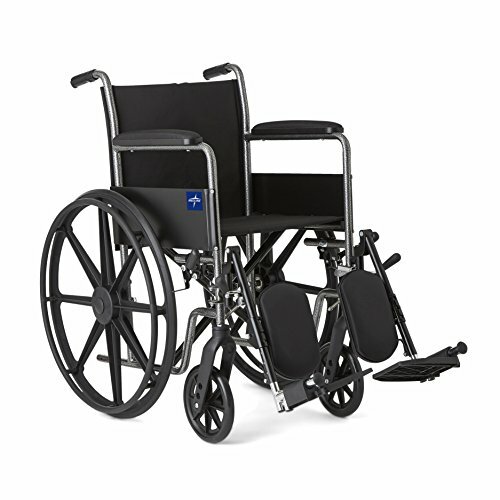 This Medline wheelchair has smooth rolling solid, flat free tires. Premium welds stand up to rigorous use; Durable tig-welded frame in gray powder coat finish. 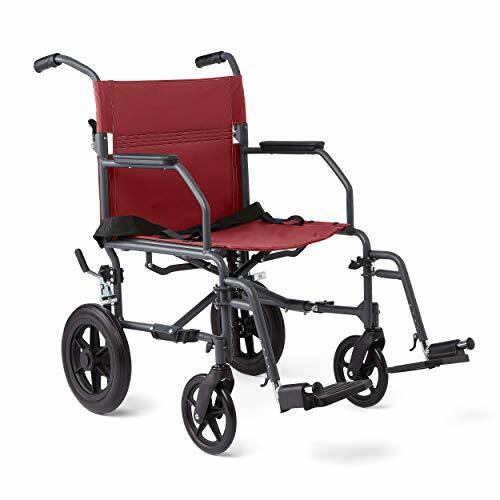 Half the weight of a wheelchair, this Medline lightweight transport chair has all the features and versatility you want in in light, portable design. Made from sturdy welded steel, it supports up to 300 lbs. and has a seat that s almost 20 wide. 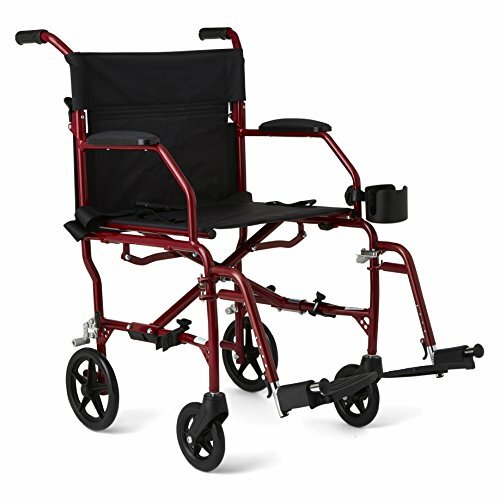 Oversized wheels make for easy rolling, and footrests can be adjusted for height, swung out of the way, or removed in seconds. Special antimicrobial protection helps keep your chair fresh and clean inhibiting the growth of bacteria, mold and mildew continuously. (This product does not protect users or others against disease-causing bacteria.) When you need to fold your chair, just lift in the middle and it easily folds nice and flat, ready to fit in a car trunk or closet. Supports up to 300 lbs. 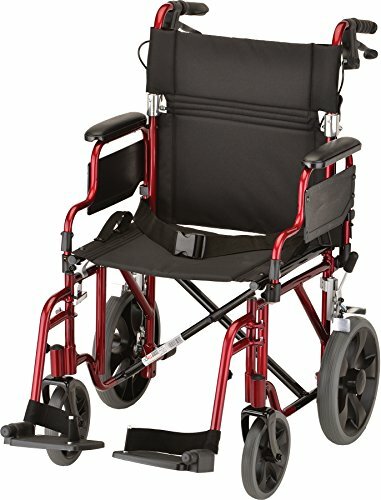 | Lightweight wheelchair weighs only 23 lbs.